Interests - Likes sugar craft, nail art, fashion, arts and crafts, making cards and jewellery, science experiments, magic tricks, gardening (she started growing a few vegetable plants in the garden), reading, cross stitching and daydreaming. Nia was diagnosed on March 30th 2008 with Acute Lymphoblastic Leukaemia. After the initial month of treatment we found out that she had a very aggressive and rare type with Philadelphia positive chromosome. We were told the only chance of cure would be aggressive high dose chemo followed by a bone marrow transplant. Nia’s Mum, Corinna, was pregnant with Nia’s younger brother, Finn, at the time so there was the big hope that Finn may be a potential donor (there is a 25% chance of a sibling being a match). Unfortunately he was not a match and an unrelated 10/10 donor was found. After a lot of ups and downs, and on the third attempt, Nia received her bone marrow transplant on December 5th 2008 and suffered lots of complications post transplant. 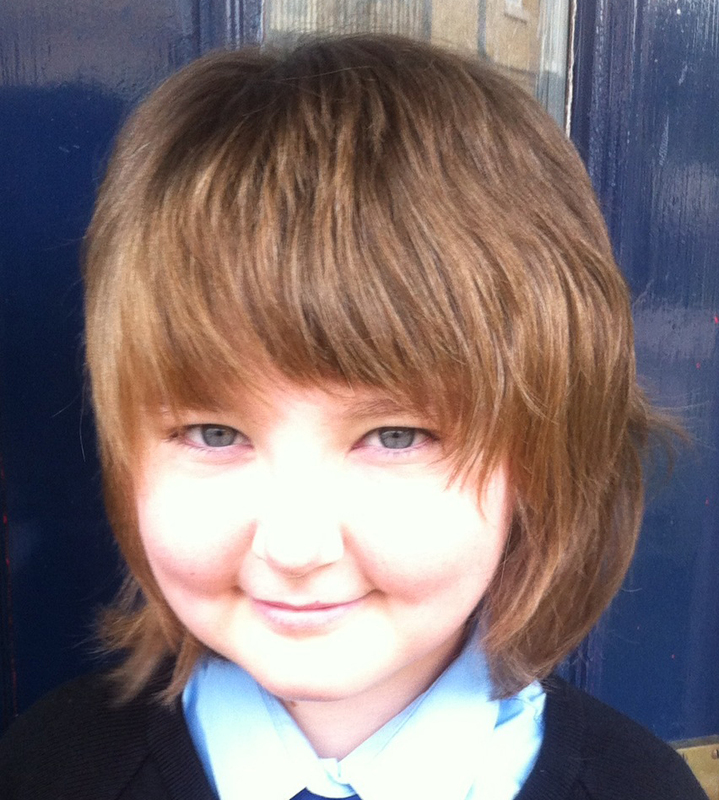 She was allowed home on March 31st 2009 – nearly 1 year to the day after original diagnosis. Nia had a good recovery post transplant and started full time school again in January 2010 – nearly 20 months after leaving school. She went straight back into her old class, having missed all of Year 4. We then had the devastating news on April 30th 2010 – Nia relapsed and is now undergoing further intense chemo and has not been out of hospital since May 1st. Her biggest dream is to be home for her birthday on June 18th in 10 days time. Nia was also born with a very rare heart condition called ALCAPA which was only found when she was 10 months old. She underwent 2 open heart surgeries in 2001 and 2002. Both illnesses are extremely rare (about 2-3 cases in the UK a year) and are not related – so a chance of a child having both is nil – she is truly unique and we hope she will make it through this extreme challenge as well. Nia is moving on from Post Pals after 4 years of being with us. When Nia joined her cancer had relapsed and she was facing a very high risk transplant but now is in remission and chemo free! Thank you to everyone who made Nia and her brother smile. December is quite busy with hospital appointments for Nia. December 5th is actually her 5th anniversary from her bone marrow transplant which would have been a big celebration (if she had not relapsed) so it is a bit of a bittersweet day for us. I remember being scared 5 years ago, but also so full of hope for a cure and that this nightmare was behind us, but now having lived with cancer for so long I understand that we are lucky enough to stay in remission, but it will be hard to say if she is ever cured. Nia would love to write back to some of the Post Pals that write to her that are around her age – please include an email address. We are still waiting for Nia’s mole results. It is classified as an abnormal mole but is now sent off for a second opinion – like so many things in the cancer world, it is not straight forward and we don’t know yet if it is cancerous or not – so the waiting continues. Nia started year 9 and Finn year 1. Finn loves reading and reads everything he can get hold of (so loves reading his cards, especially typed or nicely written ones) and Nia had a good start, but already missed last week due to a cold. Usually from now until March, with all the colds around, she suffers a lot and misses out on school and being in year 9 it is not easy. She has a pile if schoolwork she now needs to catch up on that she finds very daunting. Nia and Finn had a nice summer break and Nia enjoyed her time at the Over the Wall camp this year immensely. It really helps her being away from home (and maybe her Mum as well since I always worry about her) and just trying out new things. Both kids also attended a swimming class, and Nia moved right up from level 2 to level 4. She was a fairly good swimmer when she was 7, but lost all of her confidence after not being allowed to go swimming for over 5 years… but she just loves being in the water. Finn is not so sure about it yet (I never took him swimming since I did not want to make Nia upset since she loved swimming so much) so he is really worried about getting his eyes wet (let alone trying to go under water) but I am sure he will get there as well. The summer ended a bit on a worrying note since Nia had a biopsy done to check for skin cancer since she had a very suspicious looking mole in her arm pit (so away from the sun light) so we are currently waiting for the results. Since she had full body radiation as part of her transplant, secondary cancers are unfortunately quite high risk. So it never feels like we can just leave it all behind and stop worrying. She also had another biopsy done of her bone marrow and spinal fluid which we hope comes back clear of any traces of leukaemia. She is still on daily maintenance oral chemo that targets the Ph+ chromosone, and the current plan is to stop it by the end of the year – which would be great for her, but somehow it always felt like this may be the bit that keeps her in remission, so I am a little bit nervous about stopping it, but again, I am not the one that has to take it (and suffer the side effects). Unfortunately with rare cancers there is not much data that helps making decisions and often it is trial and error – and if it is your child, you do not want to have an error! We had a wonderful family holiday going to Florida to “give kids the world” and it was truly a one in a lifetime experience. Unfortunately, Nia was not very well when we arrived, but I guess we are used to it now, and just took it easy, and enjoyed as much as we could without overdoing it (which is easily done being in Florida). But seeing both of my kids being so happy was truly priceless and this trip will be forever in our memory. So it was lovely that the project of the month was “keeping memories” and both kids put together a little scrap book of our trip (and I made 100 page photobook which I had printed – took me ages but well worth it). Both kids have been in hospital – I guess both of them don’t deal well with the cold weather and it is just about time that spring is coming. March 30th marked 5 years since Nia’s original diagnosis. I remember back then when we were told her treatment may last up to 3 years I thought nobody can manage that… not knowing that our journey would be so much longer and still ongoing. Needless to say I am so proud of Nia and being able to handle all what life throws at her, but also Finn, who was born into the mid of it all and has been such a lovely and caring brother. Nia joined Post Pals after she relapsed in 2010 and we are so grateful for all the love and support we have been getting. Finn is just starting to read now, and he loves getting cards that are nicely written that he can read by himself – some of the ones he got he must have read now over 100 times, just being so proud that he can read. One of Nia’s highlights of the trip to Florida was to meet Sophie, a Post Pal that wrote her from Orlando and was volunteering at Give kids the world. Both kids loved last months theme – making Memories – and Nia got a lovely scrap book with lots of stickers and Finn got one as well… so they were busy putting memories together from our last holiday. Nia is really into sugar craft these days too – we found a local sugar craft club and so far she’s been able to attend 3 times and loved it. Both Nia and Finn are trying to settle into a school routine, but there are still a lot of interruptions due to ill health, and especially viruses going around school. In the first 3 months of school (Finn just started school in September) it has been only 1 day that both kids have been in school all day. Currently there is chicken pox going around in Finn’s class and I am afraid he may now be next. Chickenpox is such a “minor” illness for a healthy child, but can be life threatening with a child with no immunity – and Nia is quite neutropenic again these days, no real explanation why since she had not had any high dose chemo for a while (only “maintenance” chemo), but since she had so much treatment and all the chemo given on a transplanted marrow (so not really her own), her oncologist thinks her marrow is just tired. I’m not really sure what this means long term and if we face the risk of her marrow failing, but what I learnt is just to take one step each day, and if my kids are happy, that is good enough. Post Pals, as ever, help an enormous amount – one day Nia was really down and got a fun present with some interlocking straws – entertained her for hours. I’m not sure who it was from, but it was so much fun. Finn is always excited about any mail, he got a lovely pillow that is his favourite bed time accessory at the moment. Sorry I have not updated for a while… I know quite a few Post Pals follow Nia’s story on caringbridge and overall no news is good news. As always, Nia’s had a lot of up and downs, and winter is never a good season for her, but overall I guess she is as good as she can be. We are nearly approaching 4 years since her first diagnosis and sometimes it is good that you don’t know what is around the corner. I remember hearing that she may need 2 and a half years treatment if it turns out to be ALL, but mostly outpatient, and 6 months if it is AML, but mostly inpatient. And then 4 weeks in we found out she had the rare Ph+ chromosone ALL which then meant nearly 14 months inpatient, then a good year at home recovering, and then after relapse another 5 months mostly inpatient… and she is still in treatment. I would have thought we could never ever do it, but if you are in it, you just learn to go along with it all and cherish the times at home when things are as stable as they can be. This disease is just so tricky and just loves to interfere with any plans. She manages to go to school frequently enough, but still struggles with feeling part of her peers, it is a very difficult age anyway to know where you belong, but missing lots of school (she missed about 3 years total), and going in just on and off, is never easy. However her school itself has been very supportive and very helpful. Finn has now finally got his room sorted and has a proper boys room (well, proper as in now blue, and no more pink fairies – used to be Nia’s old bedroom), and Mickey Mouse is currently his favourite. So we decided to go for posters so whenever he changes his taste, we can just redecorate by changing posters, no stickers like before that just don’t seem to come off again. He is such a funny little character and loves to get any mail with his name on. This morning Nia got 3 pieces of mail (two of them hospital letters, so not that exciting), and he got none – I asked him if he was sad, and he shook his head… then a few minutes later he said that he is really disappointed… had no clue he even knew what it meant. Both kids really enjoy their mail… Nia especially from her post pals that send mail on a regular basis and she gets to know them, and Tony’s regular shipment of Amazon books, and Finn he just loves getting mail… he usually carries it around all day, pretending to read it (and well, a few cards we had to read so many times that he actually knew them by heart). I always feel humbled by all of you taking their time bringing joy to my children – often something that is the parents main priority but so often with the challenges of managing this horrible disease gets overshadowed. Thank you so much! The last few months we have been trying to settle into a routine at home which is always difficult after months in hospital and lots of ups and downs with Nia’s blood count. Nia is now on a 24 month maintenance chemo programme – after the first 6 months we didn’t achieve the level of chemo she should have – it feels like a dance – a few steps forward (adding/increasing chemo), then gigantic leaps backwards (stopping all chemo due to her blood count crashing). However, she managed to go to school a bit in early May (after over a year out again), which she enjoyed, but understandably was also very nervous. Her hair is coming back a bit (still quite short), and she enjoys wearing nice hair bands and bits that make her look more like a girl… the worst is when people mistake her as a boy (even when she is wearing girlish clothes – you wont believe how ignorant a lot of people are). She is still on her 4 weekly high dose steroid pulses for 5 days, which she really struggles with and we seem to plan our lives around those days since she usually is not able to do anything. She enjoys playing with her little brother Finn, who is now nearly 3 and such a funny little fellow. 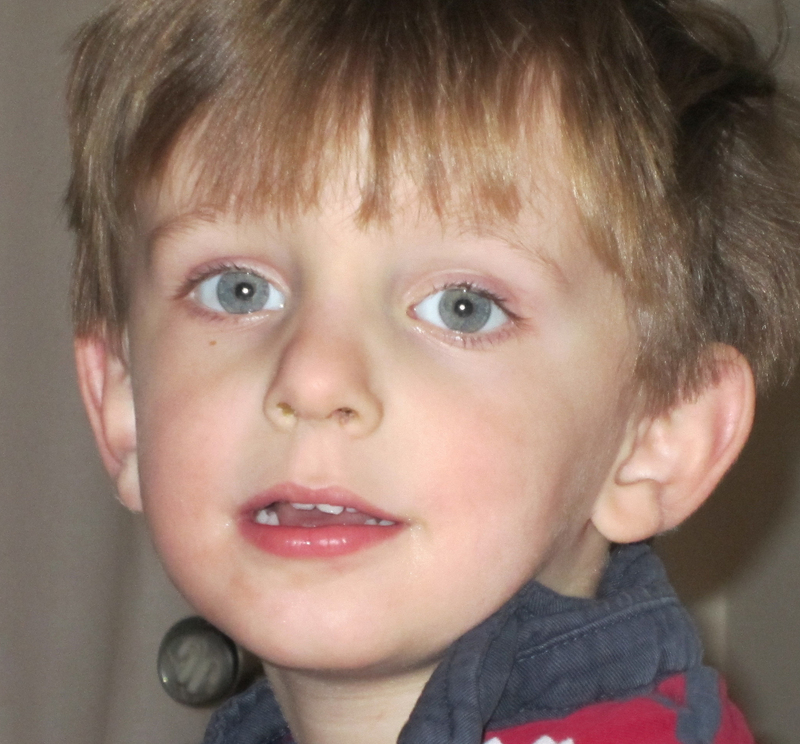 Similar to Nia, he spent most of his life isolated from other children, since we did not want to risk him getting infections and spreading them to Nia. He made a little friend at the playground that he sometimes plays with though and enjoys it so much. So hopefully if Nia settles into school and her count stays more stable, he can start preschool in September. Both of them love getting mail and whenever they hear the flap of the mail box in the morning they nearly race to the door to see if it is something for them. Finn can now identify all of our names and hands around whose mail it is (if Nia did not beat him to it). Thank you for all Nia’s post over Christmas! Post Pals is such a big part of Nia’s life now and definitely brightens up her day. Thank you for all your wonderful work and dedication. Nia has now finished her high dose chemo and is getting at least 2 years of maintenance. So we should be home a lot more, but since her bone marrow is so weak, just the first oral chemo made her really neutropenic and crashed her count (so we’ve had to stop it already). However there is no guidance of how much chemo/what combination chemo is best in Nia’s case – all the treatment plans after relapse are gearing towards a bone marrow transplant, but since she already had one, we just have to hope that keeping her on enough chemo to not let her relapse again. She is still however not allowed back in school (maybe spring 2011) and it is difficult to keep her happy and cheerful at home. She has monthly steroid pulses for 5 days which make her feel really miserable, make her diabetic and often make her wheel chair bound, so we are trying to make the most out of every day when she feels well enough. Nia is really looking forward to Christmas, and is making lots of plans on how to decorate our house – the last two years we have not decorated much, in 2009 we even had a Eastmas (Christmas at Easter) since she was in hospital over the Christmas period – so fingers crossed we will be at home this year! We are still in Oxford at least once a week and Nia is always excited to get some post when we go there since we usually spend most of the day in hospital. Thanks again for all your kind cards, letters and presents – this month Nia got a bunch of hand made cards from an English class in Slovenia, which was so lovely. Sorry for not updating for a while – Nia is currently recovering from another high dose round of chemo, which would have kept her in hospital, but since luckily there were no beds available and Nia was relatively well, we spend a lot of time isolated at home and in and out of our local hospital. I am currently giving her IV antibiotics three times a day since she had a nasty line infection, but is recovering now. If her count recovers, the next round of high dose chemo is due to start next Wednesday. We hope to be back home by Halloween at the latest since this is Nia’s favourite holiday and she really hopes to have a little party at home with some of her friends and dress up. Nia loves all the mail she is getting, and especially some of the regulars that she gets to know and feel like they are part of our family. Thanks especially to Rosie, Mandy, Gracie and Charlotte – just to name a few – you all definitely achieve smiles on my girl’s face and magically always seem to time your post when Nia really needs cheering up. We had a very low time with two of her oncology friends dying – a lot to deal with emotionally for a 10 year old. So thank you so much to all of you! Nia is currently recovering from another high dose chemo round, but since her bone marrow is weak due to the previous transplant, the recovery always takes a lot longer than expected. We are still not sure if she is going for a second bone marrow transplant (which would not be done in the UK) or if we are going with more high dose chemo and targeted therapy. Nia loves getting her mail, and she has a few people that write very regularly which is lovely since she gets to know them. It is particularly nice that some teenagers are also writing – for a 10 year old that is pretty cool. She got lovely mail from Gracie’s friends who had a sleep over and I think she felt a bit like she was part of it all. I am really sorry we do not get the chance to write back very often, and sometimes she gets nice gifts (recently a crystal growing kit) that it was unclear from whom. Finn recently got a card as well and was very proud of it – he is so used to Nia getting mail, and he was running around all day hugging his card (with a boat on it). You all definitely make my girl smile – which is priceless for me. We have a mixed bag of news – good news was that after her induction, the bone marrow cleared and her donor cells came back, but then the bad news was that cells are back in the CNS (central nervous system) which now requires more intense treatment. She has at least two big blocks of chemo in front of her – one that is 7 weeks, the next that it 9 weeks – and with Nia being Nia, most of those blocks will take longer as well as radiotherapy. I am sorry that we cannot thank all of you personally for your kind letters and cards – Nia loves getting her mail nearly every day – she copies all the email addresses with the intention to write back, but so far has not had the energy to do so.